Clinique Dramatically Different Moisturising Lotion+; New, Improved and Out Now! 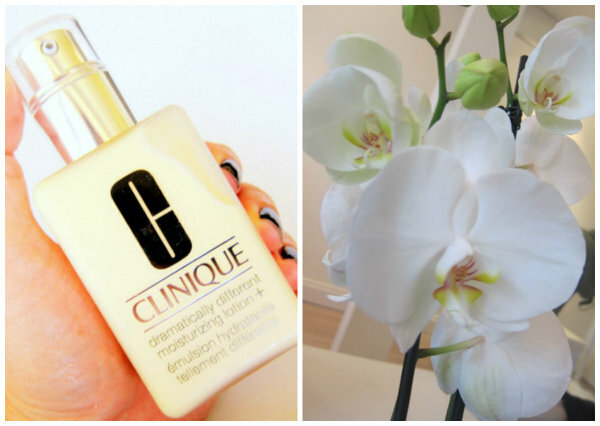 I think most of us who are into our beauty bits will have fond memories of Clinique’s Dramatically Different Moisturising Lotion – as part of the brand’s 3-step system, it was my first taste of proper, ‘grown-up’ skincare. Untouched for more than 45 years the product, with its distinctive velvety feeling and lightweight texture, has become a Clinique classic – one sells globally every 4.87 seconds. But with higher spec ingredients and new skincare technology more widely available than ever before, it was time for a change. Freshly launched – it hit counters last week – the new version looks and feels the same but claims to have double the moisturising powers, while improving skin’s barrier strength by more than 54% in just eight weeks. New ingredients include skincare superstars hyaluronic acid, glycerine and urea, along with botanical extracts like sunflower seed cake, barley extract and cucumber. Light and easily absorbed, it’s ideal for this time of year or for any skintype other than very dry – if that’s you, you might need to layer this up with other products. It’s hypoallergenic and fragrance free so sensitive types should get along with it just fine. I’ve enjoyed it over the recent hot spell and my combo dehydrated/oily skin is loving it’s work. Oh, and you'll need a separate SPF - which doesn't bother me at all, as I've been trying to use a dedicated facial sunscreen on a daily basis. And the damage? Rather purse friendly, actually, which was a pleasant surprise – this is €42 for 125 ml or €24 for 50 ml. What do you think, would you be interested in giving it a whirl? I have quite the same type of skin as you have. Now i am using La Roche Posay Hydraphase UV Intense Legere. I am quite at the end of this "tube" and you would recommend me Clinique or i should stay with La Roche which works perfectly for me? I'm probably one of the few people that was never a fan of this moisturiser, preferring Clarins. Sounds like a good face lift for the product! Clinique was my first grown up skincare routine too, I'm wondering why I don't use it anymore? sounds awesome emma! i haven't tried any Clinique products yet. they're really making some great changes. I purchased this several months ago but I still haven't tried it! I used to use the older version of this moisturizer but unfortunately I have really sensitive skin and it didn't work for me, however I do know many people who it has worked for. This is a total beauty classic and the reboot sure sounds new an improved. I love Clinique and definitely find it really suits my skin. This was my first 'real moisturiser' too and I still love it.